Gas prices in South Central Ohio plunged 10 cents over the week to $2.775 per gallon, according to AAA East Central’s Gas Price Report. Statewide, Ohio takes the country’s second spot with the largest decrease in gasoline prices on the week. 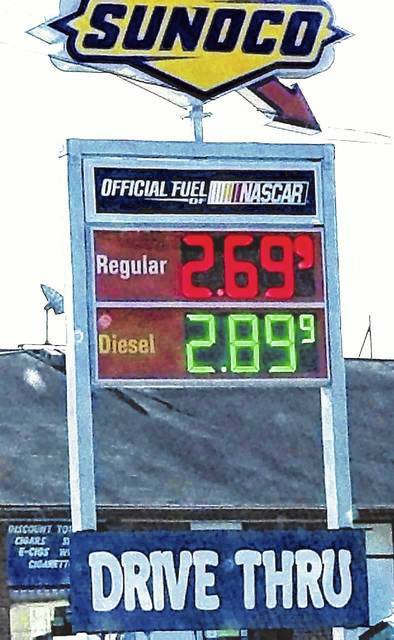 In the Great Lakes and Central states, prices range from $2.77 in Ohio to $3.09 in Illinois. Monday’s average price per gallon of unleaded gasoline for South Central Ohio was $2.775. The average price last week was $2.877. The average price for the week a year ago was $2.358. Around South Central and Southeastern Ohio, the lowest price per gallon was reported as $2.662 in Chillicothe and $2.666 in Columbiana, while the highest reported prices were $2.905 in Gallipolis and $2.872 in Ironton. The average price per gallon reported for Portsmouth was $2.733. Dropping by two cents on the week, the national gas price average is $2.95. This is the first time there has been a decrease in the national average since mid-March. The drop, albeit small, follows the latest EIA report showing consistently strong demand, although it is running slightly below (100,000 barrels per day less) the same week last year. Monday’s national average was 13 cents more than one month ago, and 57 cents more than the beginning of June 2017. On the week, most states saw decreases or steady prices, while those that saw prices jump were mostly West Coast and Rockies states.